Aluminum, for strand 6M and 6.6M. 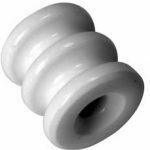 Used in CATV drop installations to secure a tap or other electronics to the messenger strand. 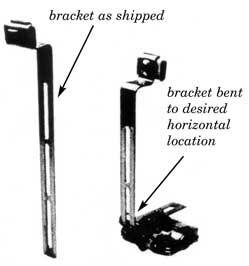 The bracket can be bent at any point to achieve the desired horizontal location. 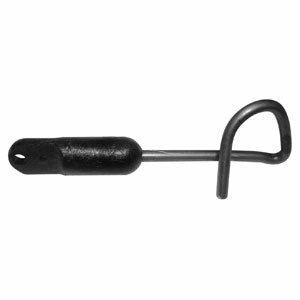 Size range 3″ to 9″ (distance between strand and tap). Bracket and clamping plates are made of aluminum alloy. Bolt and nut are made of steel. Designed for 1/4″ (6.6M) and 5 16″ (6M) messenger strand. Square hole in bracket prevents bolt rotation when tightening. Bend at top edge of bracket prevents rotation when bolts are tightened. Interlocking clamping plates assure a positive and secure grip on the messenger strand. Elongated slots provide variable positioning of tap or other electronics.